WP1 / Progression of obesity and related complications: role of gut microbiota? The intestine is a target for changes in external (food, microbiota) and internal (immune system) environment. 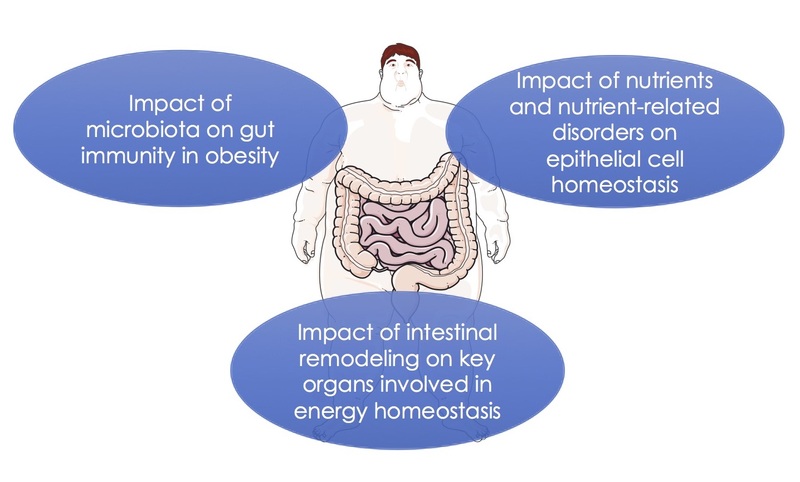 Gut adaptation has in turn consequences on gut immunity, epithelial cells homeostasis and key organs for energy balance. Progression of obesity and related complications: role of gut microbiota?